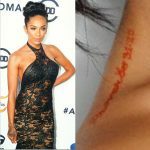 Tammy Hembrow has a dragon tattoo on her left hip. 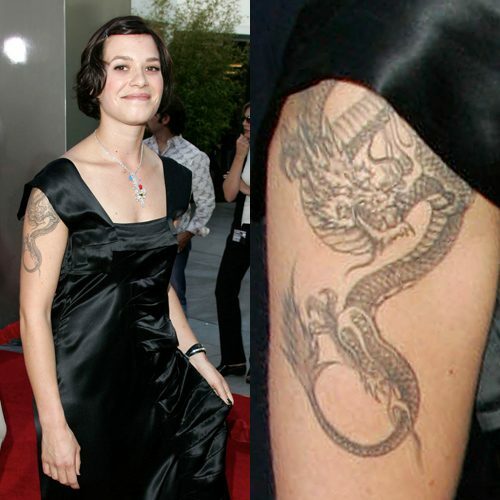 Franka Potente has a dragon tattoo on her right arm. 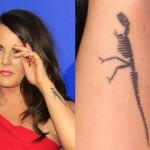 and the dragon is a symbol for “Wisdom, Strength, Power, Longevity, Prosperity, and Good Luck. ? 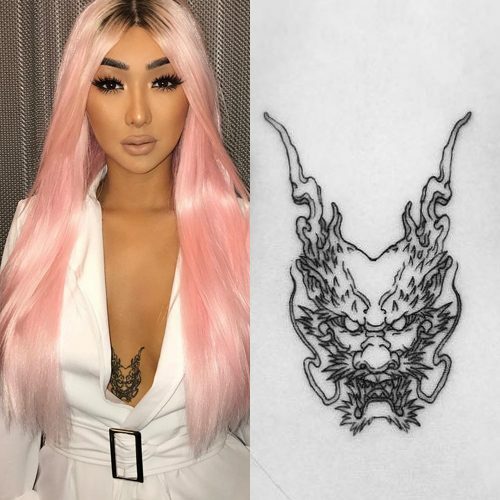 ?”, as Asian Doll told on one of her Insta posts. 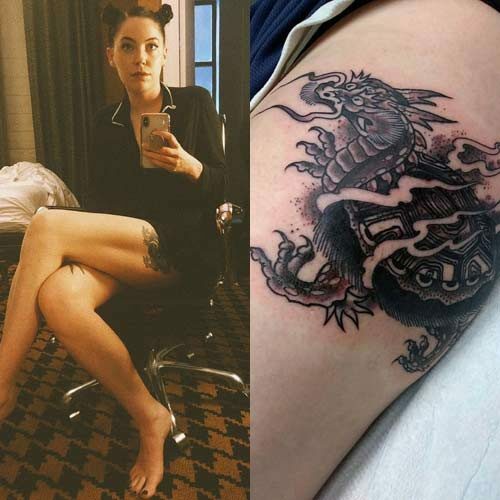 Bishop Briggs has a “traditional Chinese dragon” on the side of her left thigh, by artist @denise_tpinto. 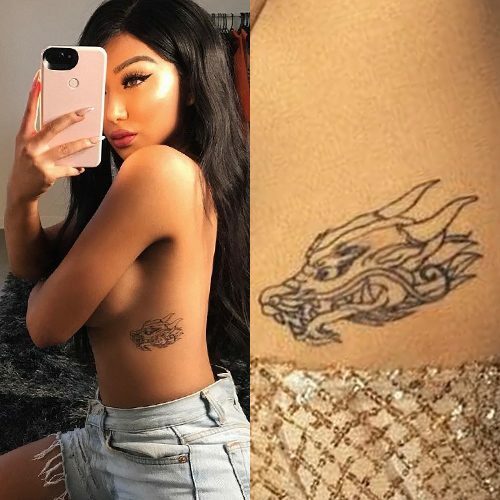 Nikita Dragun has a large red dragon tattoo on her back. 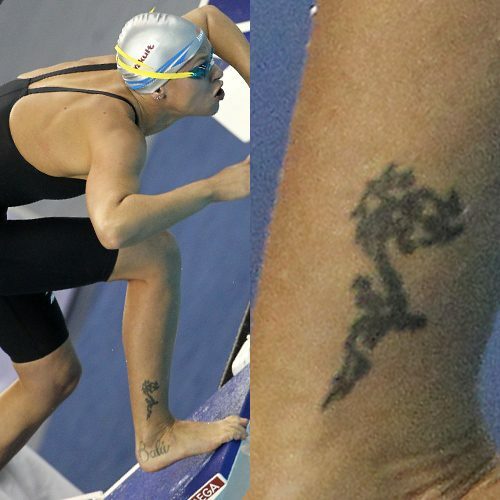 Federica Pellegrini’s first tattoo was made on her 14th birthday when she inked a dragon on her right ankle. 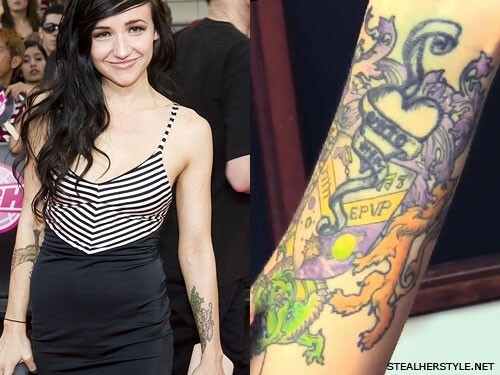 Rather than covering the old black ink heart and banner tattoo on her left forearm, Lights had it incorporated into a large and colorful new tattoo. 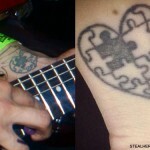 It is a coat of arms which she designed to represents different aspects of her life. On the left side of the shield is Jesus’ name in Hebrew and and on the right side are the initials “EPVP” for her parents’ names Eric Poxleitner and Virginia Poxleitner. Planets, a raygun, and music notes reflect her outer space alter-ego Captain Lights. A lion and a griffin are on the sides crushing a dragon on the bottom. Both of Debra Wilson’s legs are covered in tattoos. 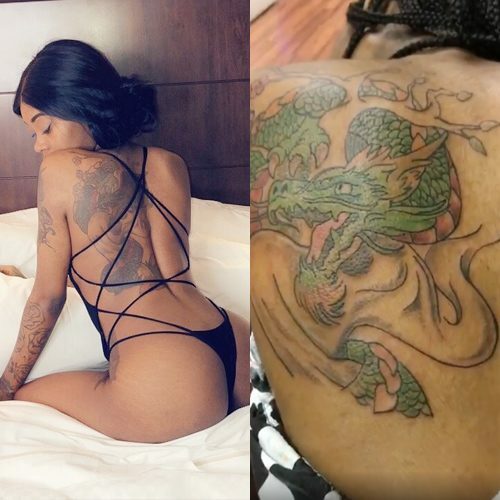 She has a Chinese dragon on her right thigh and heavy black tribal designs on both calves.